The national delinquency rate fell 8 percent in March to 4.08 percent. The rate of 30-day delinquencies is at lowest level in over 15 years. Foreclosure starts were down 14 percent from February. 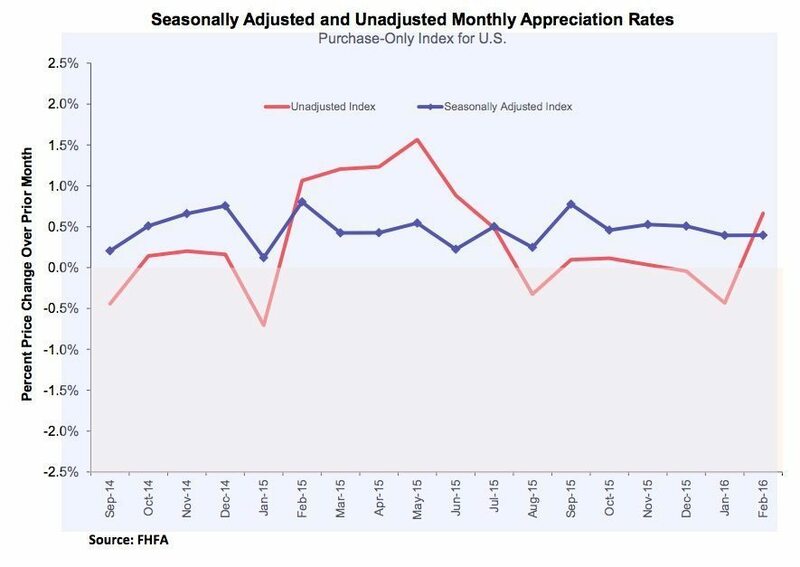 First-time homebuyers accounted for 37.8 percent of home purchases during March, based on a three-month moving average, up from 36.7 percent in February. The current homeowner share of purchases fell to 46.0 percent in March from 46.5 percent the previous month. The average time on market for non-distressed properties in March was 9.8 weeks, and the average home price on non-distressed properties was $292,200. 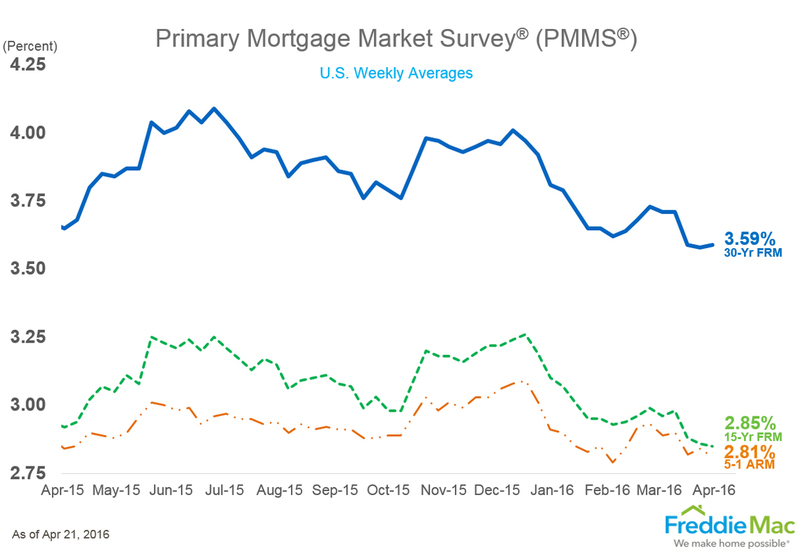 The 30-year fixed-rate mortgage rate averaged 3.59 percent with an average 0.6 point for the week ending April 21, 2016. This was up from 3.58 percent from last week. It was down from last year’s rate, 3.65 percent.A year ago at this time, the 30-year FRM averaged 3.65 percent. U.S. house prices were up 0.4 percent month-over-month (seasonally adjusted). House prices were up 5.6 percent year-over-year. The index levels since October 2015 have exceeded the prior peak level from March 2007.